The newest flavor of Android is available, and it’s still Jelly Bean. Android 4.2, long rumored to be called Key Lime Pie, was announced today in an official Google Blog post, along with information about the next generation of Nexus devices. 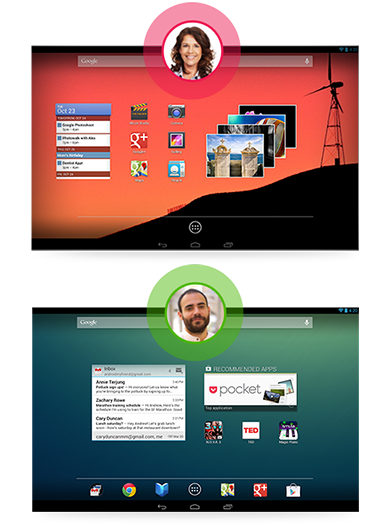 Jelly Bean 4.2 may seem familiar on the outside, but inside it’s packing some exciting new features. Called the “simplest and smartest version of Android yet,” 4.2 promises features that should make any Android fan ready to upgrade right now. The first addition to the Android platform is Photo Sphere, which claims to let you “capture images that are larger than life.” So what do they mean by that? Users will be able to take photos in multiple directions (up, down, left, right), then Photo Sphere will combine the images into one large picture that people can view in a manner similar to street view. 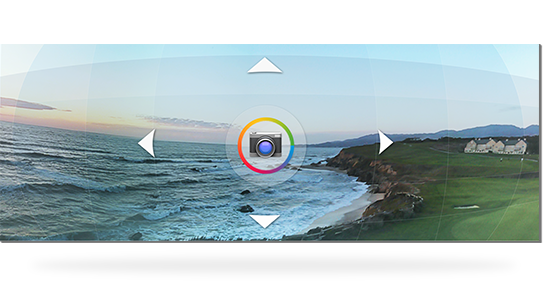 Once the immersed photo set is combined you will be able to navigate around the image on screen. Photo Spheres can also be shared on Google+ or added to Google Maps as part of a large contribution project. 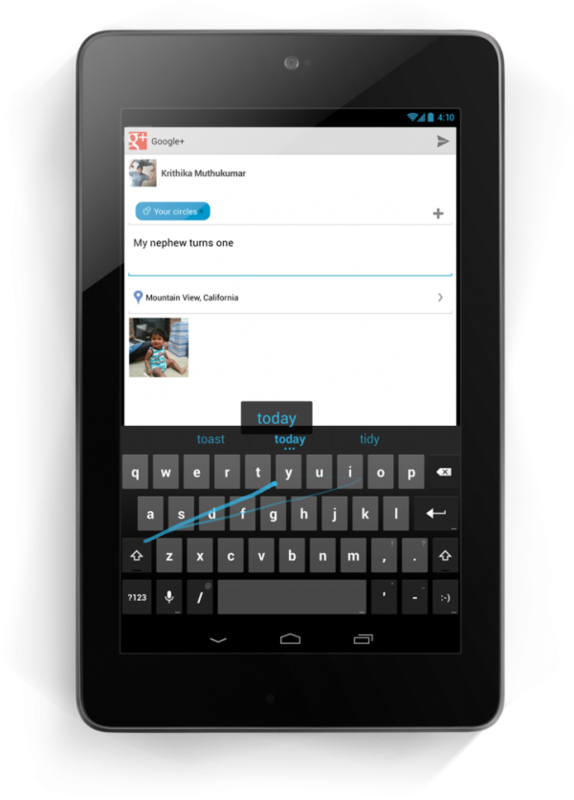 Gesture Typing, already familiar to many users, especially those using HTC devices, is now a standard feature of Jelly Bean. As expected, the system anticipates your next move and should help users swipe out messages faster than their tapping counterparts. Along with the Gesture Typing, Google has updated its dictionaries to be more accurate and relevant, plus added new updates for text-to-speech. Voice typing is now available without a data connection. 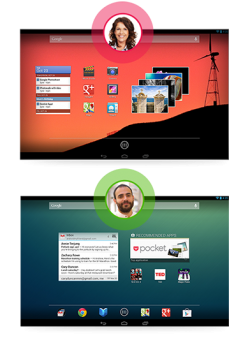 Tablet users are getting something special, multiple user profiles. Now you can customize your tablet to your content without worrying about how your choices will affect other family members or work users. 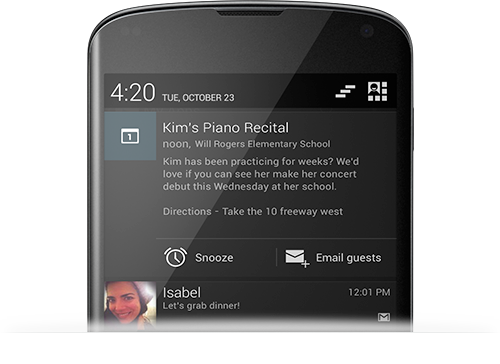 Each user can adjust their home-screen, background, widgets, apps, and games. Even your high scores and individual stats will be stored separately. Anyone who has a family that shares a tablet should welcome this feature, as well as those who share tablets at work such as B2B salespeople. Switching between users promises to be fast and easy, no need to log out and back into another account. Another example of great fast-switching development. Users who enjoy sharing their photos and videos on the big screen will enjoy the new wireless display options. Jelly Bean 4.2 will make sharing on the television easier than ever with an HDMI adaptor that you simply leave plugged into the television, then you simply select what you want to share on your device in your hand. Any HDMI enabled TV should do the trick, and any reduction in physical connections is welcome. What else is new? How about widgets on the lock screen? Excited Now? That’s right, you can finally add widgets directly to the lock screen. Also, multiple lock screens, which are accessed the same as your home screens by simply swiping left and right on the lock screen itself. Also, widgets on the home screen automatically re-size and move to make the best use of space. This feature should make customization easier than ever before, assuming the resizing feature works as advertised. Notifications are something that Android has always done well, and the update is no exception. Instead of simply swiping them away or tapping them to access the appropriate information, you can now make decisions right in the notification itself. These expanded notifications give you actionable options to work with, such as selecting snooze on events or adding people to an e-mail reply. Google Now, the Google equivalent to a life organizer, looks very promising with its latest updates. Offering up information about your day, your schedule, the weather, package tracking, local information, public transit schedules, and so much more. Keeping track of all the little things that you would likely otherwise forget, Google Now seems intent on making your smart-phone actually do the things we were promised. Like make our day easier. Integrate your Gmail account to get the most of out of this feature. Also getting some attention is Google Search, which brings new features to the table as well as a face lift. Voice search comes as no surprise, but you may be surprised when it speaks back. Inclusion of Knowledge Graph is nice as well, helping Google Search provide incredibly accurate answers and precise search results. Google Play gets some love as well, adding personalization to your music searches. With Music Explorer your tastes and past purchases are used to generate relevant music searches. How about Gmail you ask? Three words, pinch-to-zoom. Yes, it’s finally standard! A nice little feature that might catch your attention is Daydream. Users can set their device to work like a digital photo frame, particularly nice on a dock, plus add information. Daydream will show information from Google Currents and other news sources mixed in with your photos, creating an interactive frame. Google also promises an overall more fluid experience, with more responsive touch association and “silky transitions.” A part of this fluid experience is the new way that Android recognizes your use of the device. When you’re not touching the screen power is diverted away from the CPU, but the moment your finger touches the screen things are juiced back up, helping the device save battery when you’re simply looking at information on the screen. So when can you expect all these new features? Well, no one knows yet. That is, unless you are planning to buy the newest generation of Nexus devices, which are scheduled to ship on November 13, 2012. These devices will be shipped with Jelly Bean 4.2 on-board, but the rest of us will have to wait as carriers and manufacturers make independent decisions on their roll-out plans.